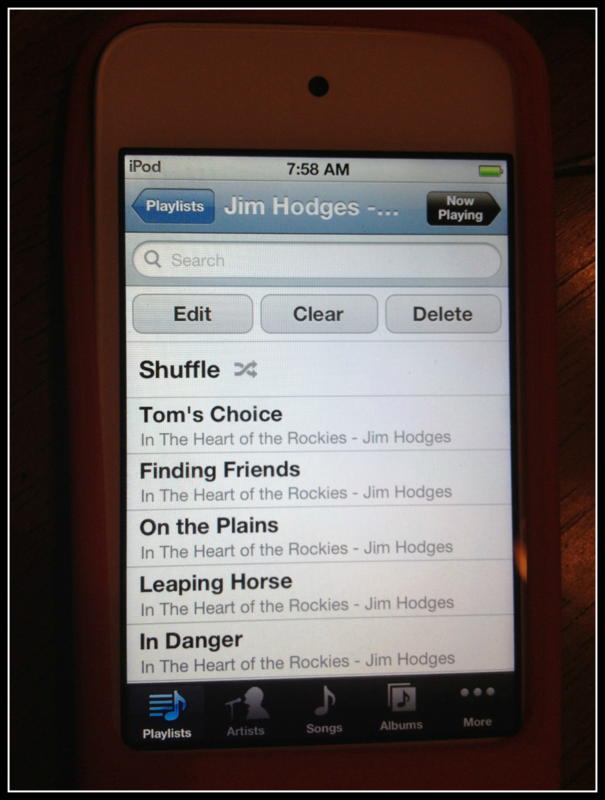 Becoming familiar with Jim Hodges Audio Books has been a tremendous blessing for our family. Listening to audio books on our way to and from co-op, baseball, and running errands has allowed us to make good use of our time AND enjoy that time as well! It should be no secret that we love learning about history through living books. While I love reading to my children, it's not possible to read aloud to them AS MUCH as I did when they were both elementary aged. They still, however, need to hear quality literature each and every day. An author I was not familiar with was G.H. Henty. (If you've never heard of him, you should take a minute to learn about him.) We had been missing out on a wealth of wonderful historical fiction! Over the past month we have had the joy of listening to In The Heart of the Rockies, and True to the Old Flag, two of the many Henty books on audio by Jim Hodges. Mr. Hodges and his wife, Monica, homeschooled their three children all the way through high school. He is a 20 year Navy veteran. His dream was to read and record books and his wife supported him in that dream. The result is a vast collection (101 Henty titles to be exact!) 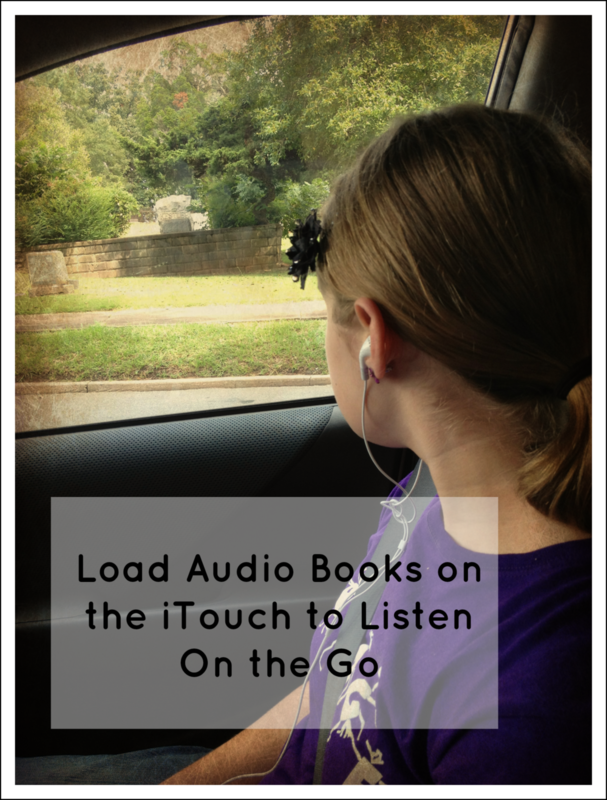 of quality audio recordings that are of tremendous benefit to the homeschool community. To help parents in training up Godly, well-educated men and women by providing historically accurate, exciting, entertaining audio products that model the morals and character of Christ. The books come on a .mp3 CD, which means they can be played on an .mp3 CD player or on your computer. These CDs are on average $25. When we received our CDs I immediately put them on the computer and they automatically downloaded into iTunes. They were then easily transferrable to my daughter's iTouch. I created a playlist for each of the Hodges audio books and we were set to listen! One of the books we listened to together (In the Heart of the Rockies, because we are visiting Colorado in a month), and the other my daughter listened to independently. There's something very "mature" about carrying your iTouch for doing "schoolwork". The technology combined with the quality literature was a big hit with my daughter. I'm pleased to share a FREE DOWNLOAD of a G.H. Henty book with you so you can hear firsthand what one sounds like. Stories of the Pilgrims is available for immediate download. You simply have to provide your email address and the download code IHSPilgrims. Many of the books come with downloadable vocabulary guides. 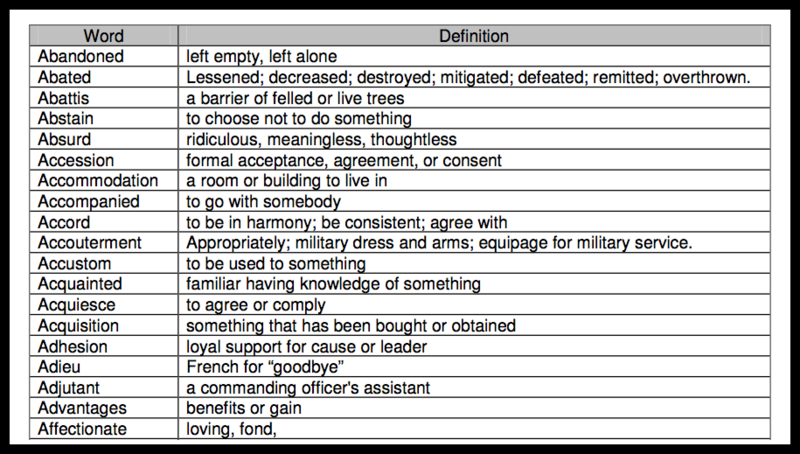 One of our books, True to The Old Flag, has an accompanying vocabulary guide. As you can see, the guide is comprehensive and can be used to enhance listening. (This is just a snippet of what I downloaded.) In this way, you can use these books with a variety of ages. My son is seven and has been listening intently, but for my eleven year old daughter I want something MORE to do with the book. I have found these books to be a wonderful addition to our homeschool. Not only are they VERY age appropriate for my sixth grader, but my second grader also is listening. Mr. Hodges has a very natural reading style. My daughter explained it to me perfectly. She said that he wasn't TOO dramatic, but just interesting enough in his reading style. You see, we have been listening to a dramatic reading of another book (NOT a Hodges book) and the theatrics almost got to be too much. They distracted from our listening. The format of an .mp3 CD is perfect for our family. Our mode of listening is now mostly iPhone and iPod and transferring the books to our devices was quite easy. The vocabulary guides are an added bonus. Use them or not, but it's nice to have the option! 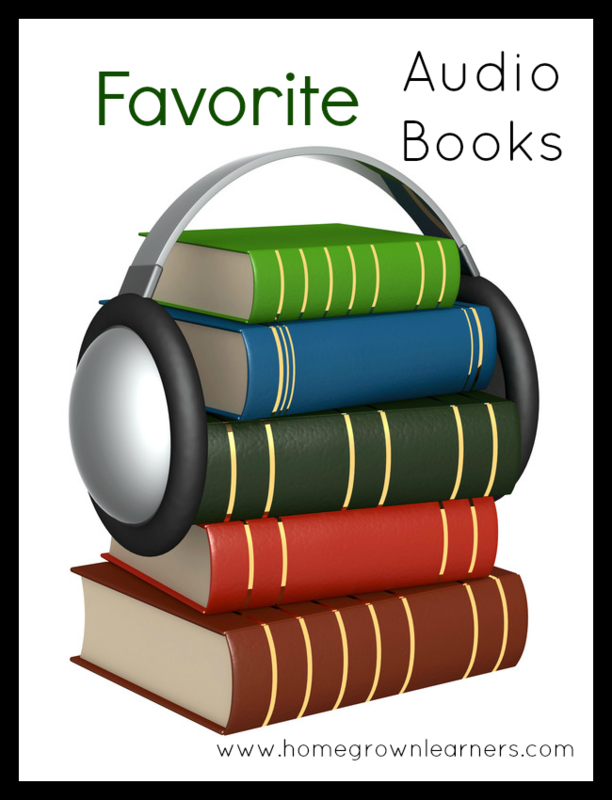 Jim Hodges Audio Books is offering Any 2 Audio CDs to one lucky reader. This giveaway will be open until MIDNIGHT, September 16, 2012. *I received this product free of charge. I was financially compensated for this post. The opinions are completely my own based on my experience and not influenced by financial compensation.